Take a break from cold Copenhagen! Instead of flying thousands of kilometres and emitting CO2, you can take that Bamboo Break right here in old Copenhagen. The bamboo lamps on the Canal Tours dock take you to the rivers and canals of Asia. The light breaks through the bamboo creating patterns and movement on the deck, the water and the pier. 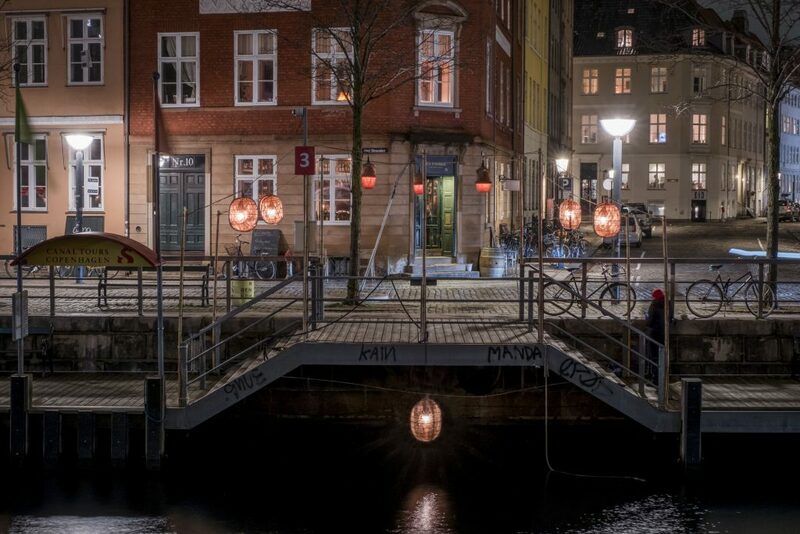 From here you can lean back in the heated boat and enjoy Copenhagen and the Copenhagen Light Festival from the water. The light installation is created by lighting artist and designer Mads Vegas, and will be turned on every day after dark during the of Copenhagen Light Festival. The Pier bar is open during the festival. It will be possible to buy hot and cold drinks from the pier to bring along on the tour. The bar is open from 6:00 pm every day during the festival and stays open until the last boat has left the pier.